For meritorious direct participation in a significant military act or operation of a humanitarian nature performed after 1 April 1975. 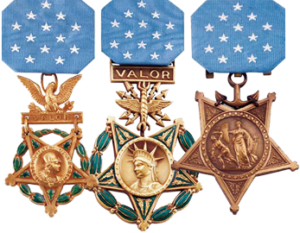 Authorized in 1977, the Humanitarian Service Medal is awarded to members of all services for direct participation in humanitarian military acts or operations such as disaster, flood, tornado, and earthquake relief work. 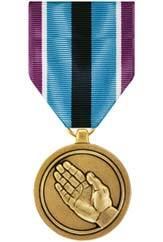 The Humanitarian Service Medal may also be awarded for participation in rescue operations performed anywhere in the world.